Dr. Ian Katz is Board Certified by the American College of Surgeons and is a member of the American College of Phlebology as well as numerous regional and national surgical societies. Dr. Katz received his Bachelor’s degree at the University of Miami in Miami, Florida and a Doctor of Medicine at the University of Miami. Dr. Katz was an intern and held his residency at Georgia Baptist Hospital in Atlanta, Georgia. Dr. Katz has been practicing General Surgery in Decatur, Georgia for over 20 years and was certified to perform varicose vein surgery and sclerotherapy in 2006. 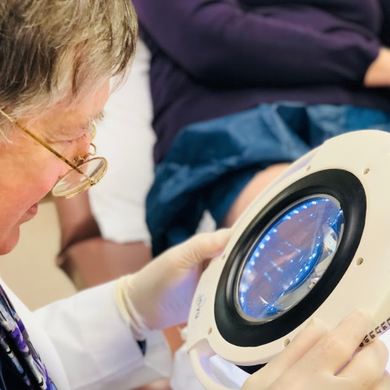 His certification is a direct reflection of his skill, knowledge, and experience in providing quality patient care, and his continued commitment to the advancement of vein care. In his spare time, Dr. Katz has been a ballroom dancer for 20 years, loves to garden and is an avid reader. He is married with three children. Do you have vein disease? Take our vein quiz. Do you have any of the following signs, symptoms or history of vein disease?